When it comes to so-called smart ticketing for rail passengers, ministers have repeatedly redefined what ‘smart’ actually means. They have also taken a novel approach to the time-honoured tradition of moving the goalposts, actually bringing them nearer so they can claim that the ball actually cleared the crossbar and scored the points. Unfortunately, their previous claims remain on the record and the extent to which they have in fact fallen well short of what they promised is plain to see. Last week’s consultation paper on extending pay-as-you-go ticketing across south east England includes a blatant re-writing of history to conceal the failure to meet a key target of the DfT’s existing £80m programme to roll-out paperless (but not necessarily smart) ticketing. 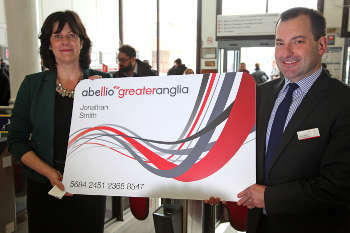 In fact, the Strategic Vision for Rail set out an aim that by the end of the 2018, 'both' smartcard and barcode tickets would be accepted for travel on almost all of the network. As Transport Network has previously reported, that commitment had already rowed back on a pledge to give ‘all passengers’ – i.e. whatever the journey – the option of travelling without a paper ticket by the end of 2018. In a written statement to Parliament, rail minister Andrew Jones said that over a year on from the Strategic Vision, ‘we have made real progress'. 'Every franchise offers smart cards and/or barcodes and smart tickets are available across almost all of the network’. A DfT spokesperson told me that Mr Jones’ assertion that ‘smart tickets are available across almost all of the network’ depends on every train operating company (TOC) offering one option or the other. However, Mr Jones’ assertion carefully omits from the Strategic Vision the pledge that such tickets would be accepted ‘for travel’ on almost all of the network, reflecting the difficulties that the Government and rail industry have had with interoperability of smartcards and barcodes between TOCs. Most TOC smartcards only work on their own networks. TOCs that issue barcode tickets accept those issued by other firms, but according to industry body the Rail Delivery Group (RDG), only two firms that don’t issue barcode tickets accept them. Barcodes by the way do little more for the passenger than provide a different visual representation of a ticket. 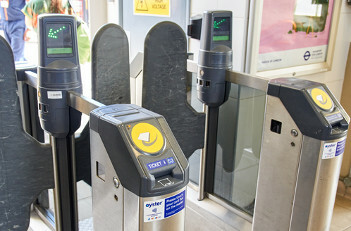 In another sign that the Government has set its sights lower than the introduction of genuinely smart tickets, the DfT spokesperson also stated that ‘smart ticketing is about either card options or mobile [barcode] options’. The DfT said last week that, following a further £80m of public money, smartcards are now available from 11 franchise operators: GWR, Southeastern, c2c, Chiltern, CrossCountry, East Midland Trains, GTR, SWR, TransPennine, Northern and Greater Anglia. Most TOCs that offer smartcards also issue barcode tickets but for half of franchises it is one or the other. This makes sense up to a point but, even in terms of paperless single or return journeys, the coverage across the network is patchy at best, with some TOCs' smartcards and barcode tickets not covering their network, let alone offering comprehensive coverage of the national network. As an example, while it is possible to travel from Salisbury to Bath on either SWR or GWR (or indeed to travel from Clapham Junction to Bath via Salisbury on a single direct SWR train), it is not possible to buy an e-ticket (ie barcode) from SWR for these journeys. SWR’s customer service team told me it is not possible to buy an e-ticket from Salisbury to Bath because GWR (which also operates Bath Spa station) cannot read its barcodes. Also, even accepting that the RDG is correct that the vast majority of TOCs now offer and accept barcode tickets, they cannot be used for cross-London journeys on the London underground, which can of course be made with paper tickets. But the real question is whether the DfT’s version of smart ticketing actually provides genuinely smart or flexible ticketing. Its statement that ‘smartcards are the best option for season tickets’ again appears to reflect its lack of ambition here. As Transport Network has pointed out, many TOC smartcards do little more than replace paper season tickets with plastic ones. To return to the DfT’s consultation on extending pay-as-you-go to areas of the South East outside London’s Oyster system, the consultation states that the DfT is exploring ‘how fares could be fair to both full-time and part-time commuters’ and ‘options to make complementary changes to fares and to introduce capping [but] we have not at this point decided upon the best way to proceed’. With the RDG’s attempts to reform ticketing hit by the delays for which the industry it represents is notorious, it is not clear whether the DfT will do any more than make it possible to pay the relevant (expensive) walk-up fare in a slightly more convenient way.